Ryan Therapy Services wants to help you and your partner transform your relationship. 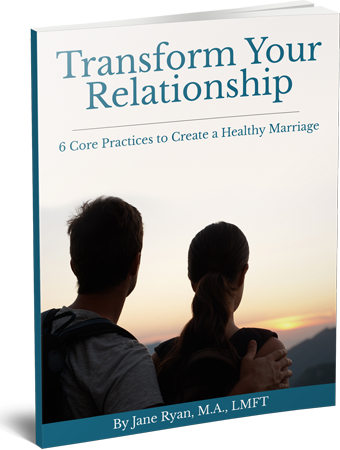 With a clear commitment to doing the work required to create a strong, intimate and thriving relationship, you can learn how to be the kind of partner you aspire to be and develop an abiding love and respect for your partner. You can rebuild trust. You can heal hurt and pain. You can learn how to address conflict effectively and with better results. 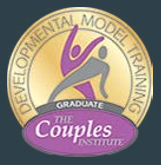 You can develop skills to address the natural challenges of intimate relationships. You can discover personal and relational growth and strength. You can create peace, ease, pleasure and joy. You can cultivate deeper understanding of yourself and your partner. With a commitment to the therapy process, your intimate relationship can become all you envision it to be. A relationship that supports and nurtures deep intimacy and connection. A relationship that effectively addresses conflict by providing space for partners to be listened to with compassion and empathy. A relationship that is based on mutual trust. A relationship that provides inspiration for partners to live their best lives. A relationship that becomes more vibrant and alive as partners demonstrate genuine interest in each other. A relationship of respect, joy, love and passion.